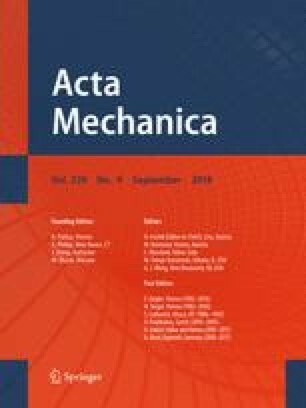 This paper presents an analytical approach to investigate the nonlinear dynamic response and vibration of functionally graded multilayer nanocomposite plates reinforced with a low content of graphene platelets (GPLs) using first-order shear deformation theory and a stress function with full motion equations (not using Volmir’s assumptions). The weight fraction of GPL nanofillers is assumed to be constant in each individual GPL-reinforced composite (GPLRC). The modified Halpin–Tsai micromechanics model that takes into account the GPL geometry effect is adopted to estimate the effective Young’s modulus of the GPLRC layers. The plate is assumed to rest on a viscoelastic Pasternak medium and to be subjected to dynamic mechanical load in a thermal environment. Numerical results for the nonlinear dynamic response and vibration of functionally graded (FG) multilayer GPLRC plates are obtained by the Runge–Kutta method. The results show the influences of the GPL distribution pattern, weight fraction, geometry, foundation models, mechanical and temperature loads on the nonlinear dynamic response and vibration, natural frequencies and frequency–amplitude curves of FG multilayer GPLRC plates.